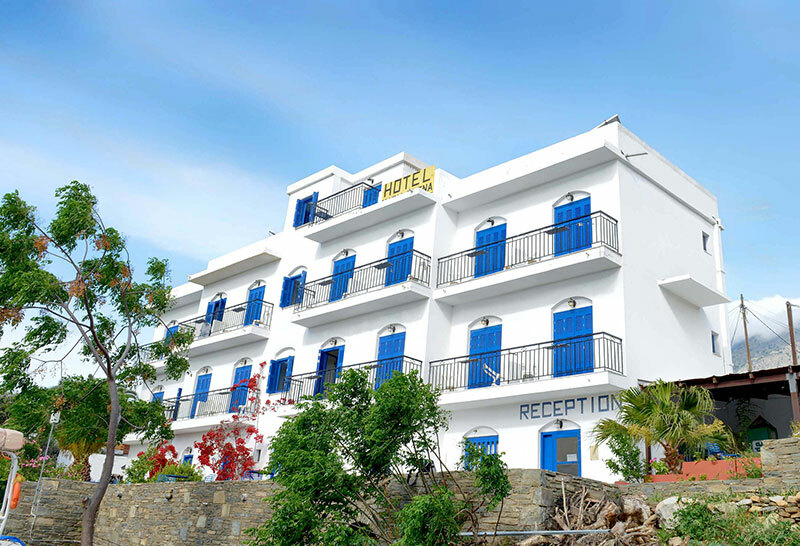 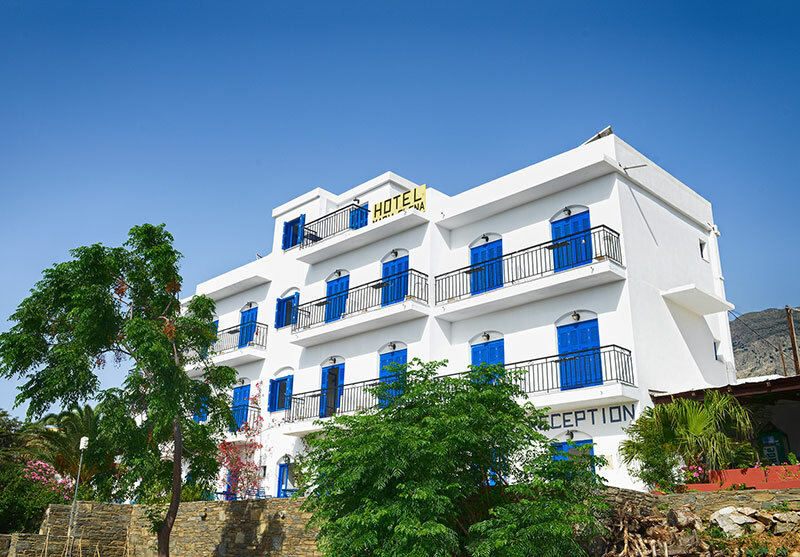 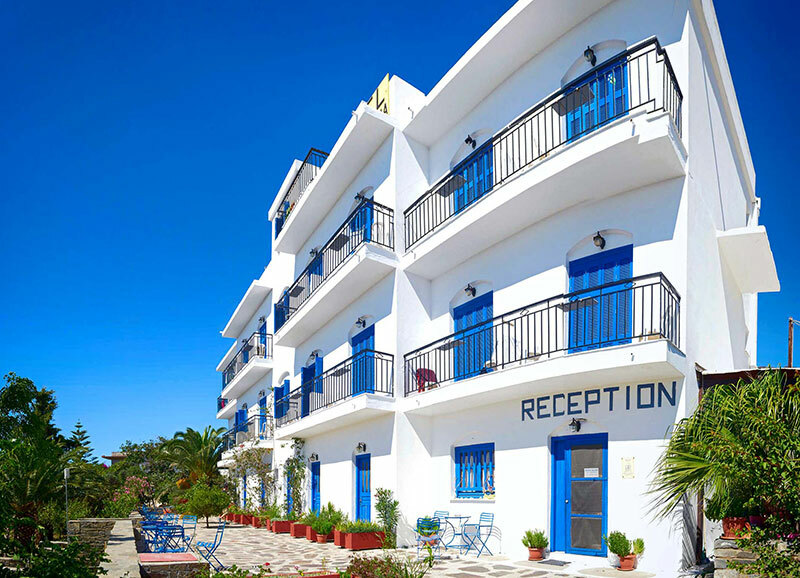 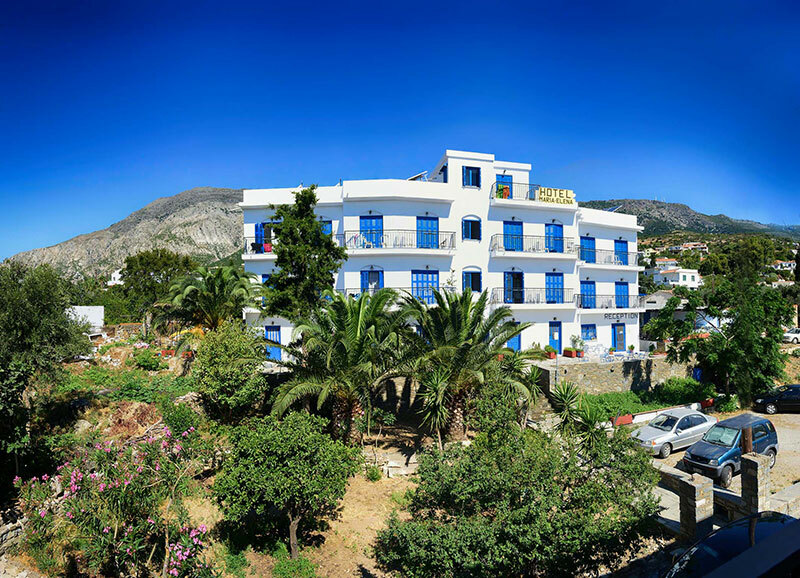 Maria Elena hotel which operates all year round welcomes you at Ikaria the island of god Dionysus, Ikaros & Dedalos, thermal therapeutic springs, and as lately discovered the fifth longevity paradise on the world. 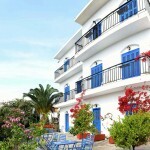 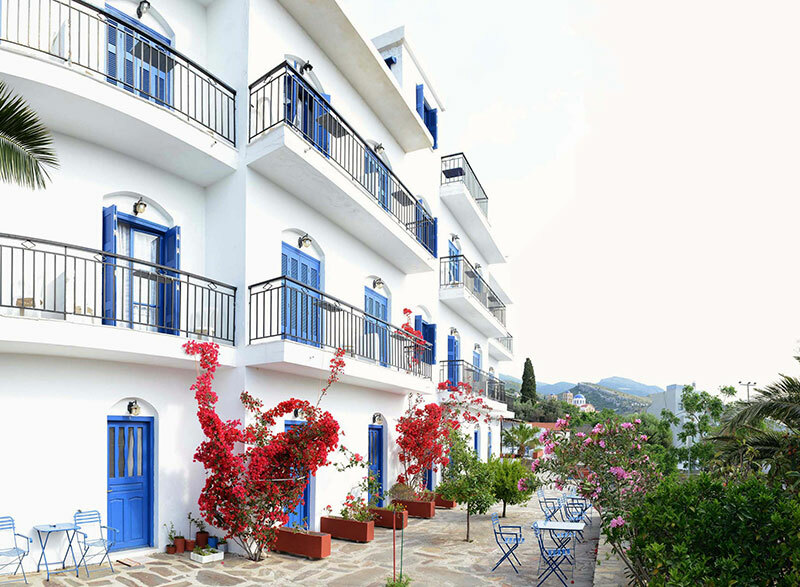 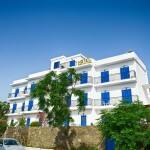 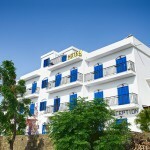 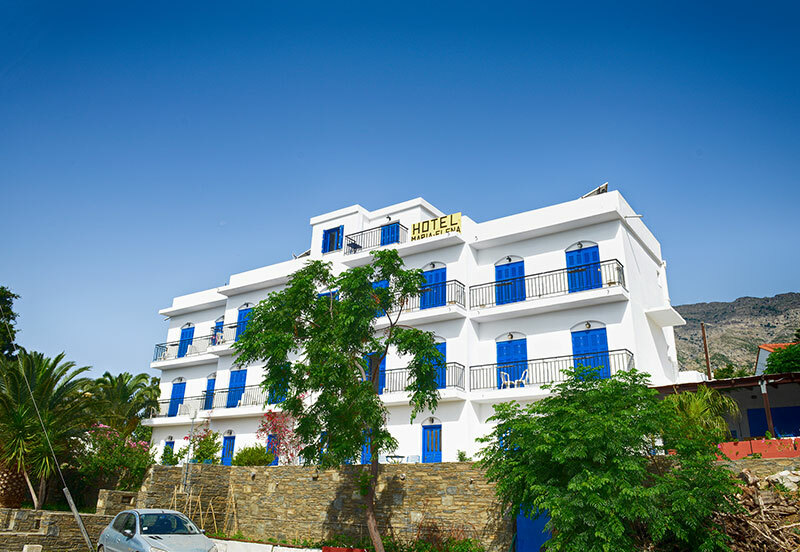 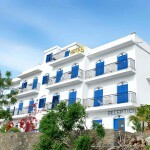 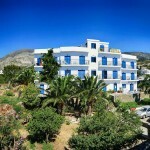 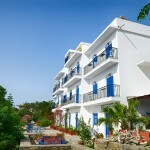 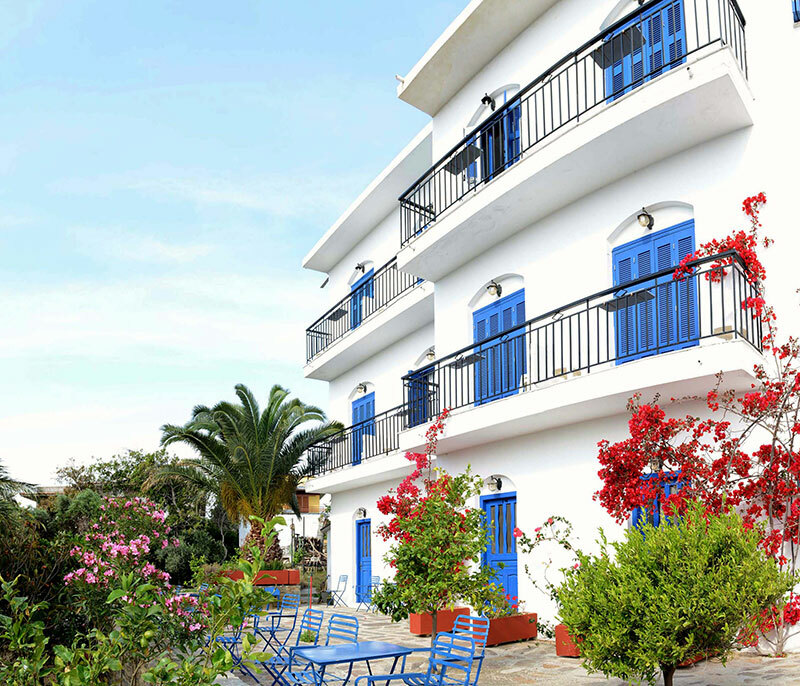 Situated in the friendly atmosphere of a green garden with lovely trees, colorful flowers, traditional stonework walls and floors, It consists of 16 rooms, and 7 fully equipped studios with panoramic view from their balconies and yards to the spectacularly blue Aegean sea, and the colorful gardens. 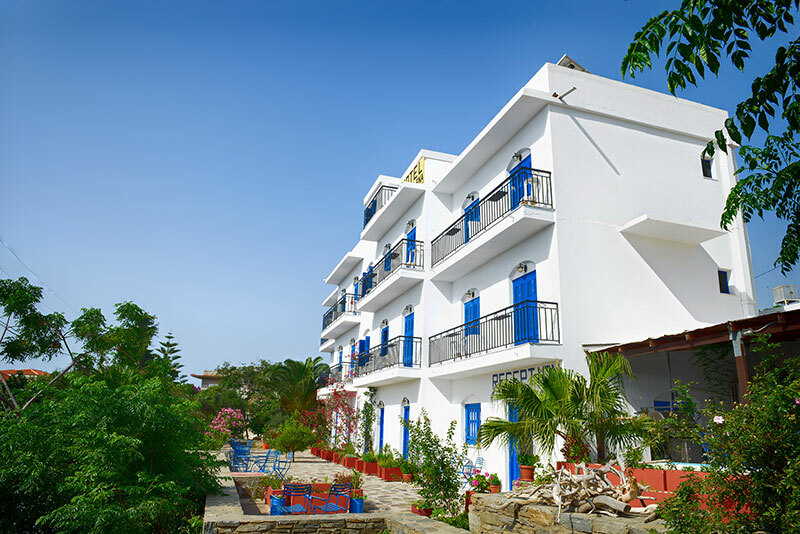 The architecture is simple and the building, painted in white and blue colors, consists of a ground floor, first & second floor and a penthouse studio.